5 Tactics To Winning The Winter Weight Gain Game. 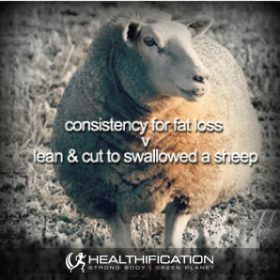 Consistency for Fat Loss v. Lean & Cut to Swallowed a Sheep! The Weight Loss : Relaaaaaationship Analogy! How often do you set the bar impossibly high?